• Pardon my ignorance but what does this York pulley kit do again? The York pulley AND BRACKET kit allow you to mount a York 210 air compressor to the passenger side of your 1FZ block to give you an infinite amount of available compressed air. • Any idea on the time frame? It all depends how long it takes to at least 15 people to jump on the bandwagon. The pulley time is about two weeks and the bracket I've been told about three weeks because its one guy that does the laser table and another that does the welding (btw this is going with a completely difference shop than what I've been using for the rest of my stuff). Then everything comes back to me so I can have all of the coatings done and wrapped for shipping. I don't want issues of damaged parts because someone other than me is mixing aluminum with steel in one box. • Do you have a picture of where the compressor sits? •Is there a way to retain the PAIR by relocating the PAIR? This is for those that emission test, its needed to pass visual inspection of test. "I've done a bit of research relating to nixing or relocating the PAIR valve. My preference would be to keep it and relocate ala a one off relo bracket and fabbed tubing and flanges, all of which would be copies the stuff that came with the pre-1995 TRD supercharger kits for the 1FZ. I am sure there would be near nil for actual demand but if you had anything on the drawing board or a prototypical thing going on, I would be all ears. Seems not too difficult, but well, I know how that goes." • Would you include the pulley for the YORK itself or will you let us know which one to source? No need to supply the pulley for the York since they seem to all come with the pulley. The vast majority of Yorks are 6" with the double pulley. If memory serves you need the double pulley because its the outer pulley that the new water pump pulley drives. The 7" pulleys also work but need a different size belt that I don't supply. • Can you use the York 209 instead of the York 210? You can get the York 209 "Super Compact" mini compressor instead of the 210. It is 1 inch shorter and 1 inch slimmer in width for tight situations and has about 90% of the displacement of the 210. It uses the same mounting holes. It is a little harder to find. Comes on Saabs, Audis, Mercedes and some Volvos and maybe others too. • Just to clarify, this will work with the dual battery setup. Correct?! No prob. Here's an old thread, with good info, for reference: York Install with Dual Batteries?? • What about us 3FE folks? Still no love? • Why not use a toyota compressor? It needs to be a compressor that is a self-lubricating unit. 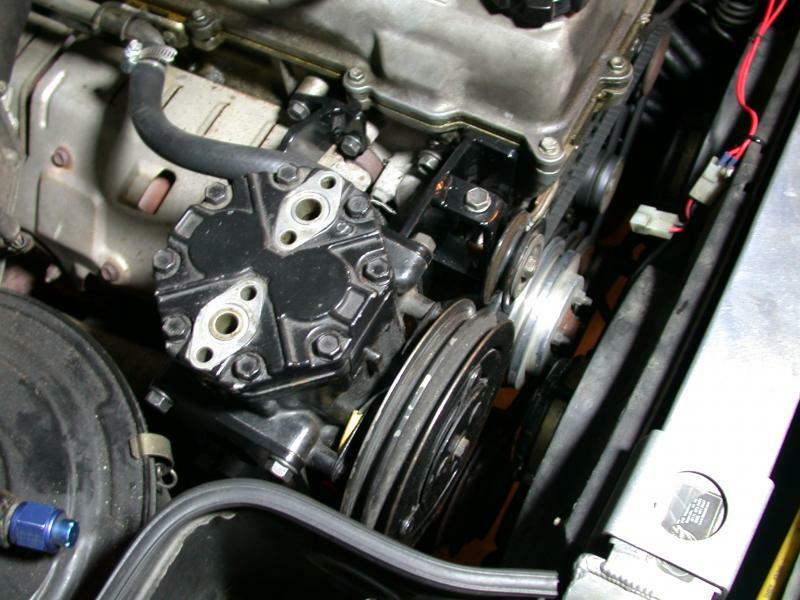 In most A/C systems the lubricant oil flows with the freon. The York 210 and 209 and IIRC at least one Sanden are the only self-contained oiling compressors. The compressor isn't creating a looped flow. It's literally just compressing air from the environment to the environment. • What tanks (brand/size/capacity) can be used with an OBA system like this and where do most people mount it? There are tons of options on Amazon. Pretty much any aluminum or steel tank will work so long as it has an input and output port, bung for blow off and a drain. Size depends on where it gets mounted but it seems like the 2.5gallon seems to be the most common. It can be mounted behind the winch, on the DS frame rail, above the spare tire area. • What are the cons of the York? • Extra noise when driving? None. The compressor, depending how you wire it, will only go on when there is low pressure in the tank or when you directly turn it on. Even then its still an A/C compressor. The reason you notice your own existing compressor is on is because the idle kicks up. There is no idle kick up on the York. • How much parasitic loss?